It’s the rare individual who has fully erupted, perfectly straight wisdom teeth that cause no complications. Also called the third molars, these teeth emerge at the very back of the mouth and usually do not have enough room to come in normally and function like the rest of the teeth. Many times, they are positioned at an angle and only emerge slightly from the gums, and sometimes they stay completely trapped in the bone. When this happens, the patient is said to have impacted wisdom teeth, which can cause a host of painful problems. The first symptom you’ll notice with an impaction is pain. This can range from a dull ache in the jaw to an inflammation in the gums surrounding the tooth. If the third molar is partially impacted, flaps of gum tissue surrounding the erupted portion of the tooth will trap food particles and bacteria, which can lead to infection, bad breath and a foul taste in the mouth. Additionally, because the roots of these teeth are set at an angle in the jaw, they may disturb the roots and nerves connected to neighbouring teeth, leading to more pain and tooth damage. After learning about everything that can go awry with impacted third molars, you’re probably not surprised that dentists recommend extraction for most patients. If your third molars are causing you discomfort, contact us and schedule your wisdom tooth consultation in South Yarra or Toorak today. 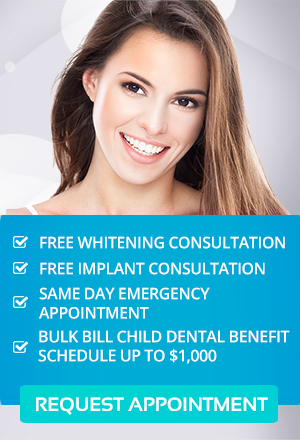 At Simply Smiles dental, we welcome patients from Melbourne and all surrounding areas to experience the best of modern dental care.